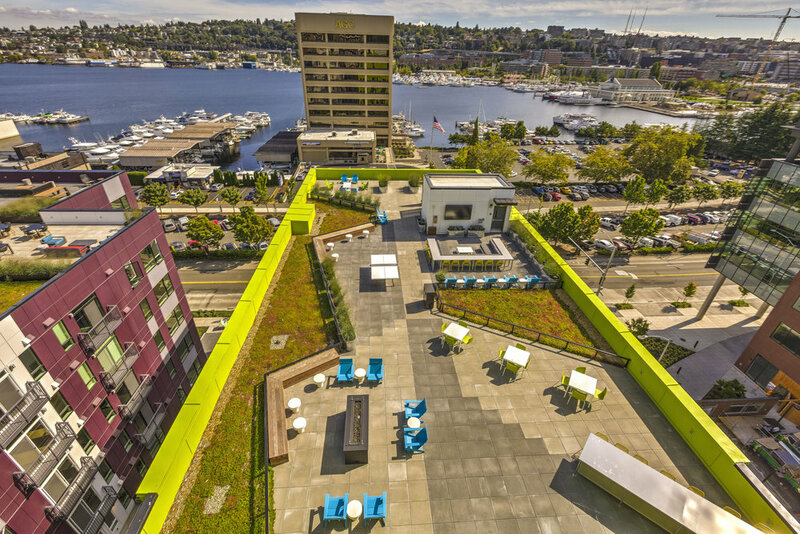 Westlake Steps features an integrated hill climb with a cascading water feature, stepped integrated planters with decorative lighting elements, bike runnel, and benches at landings to create stopping points, taking advantage of the topography to create viewpoints out to Lake Union. 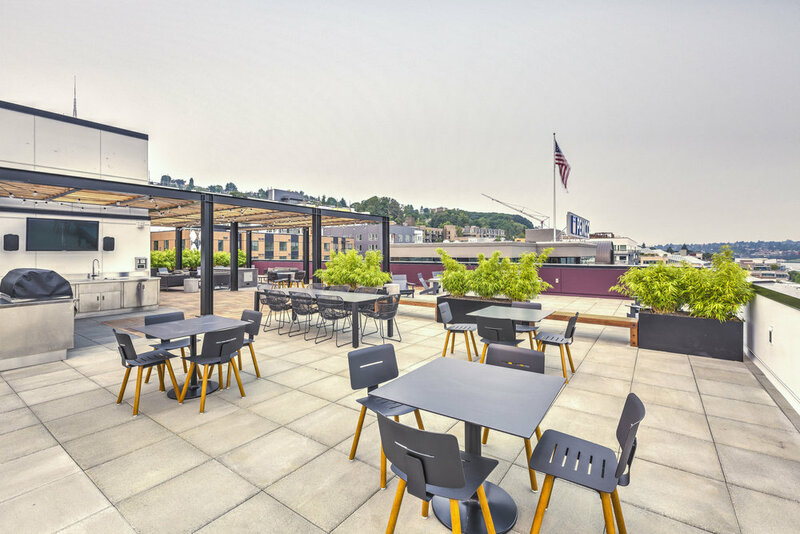 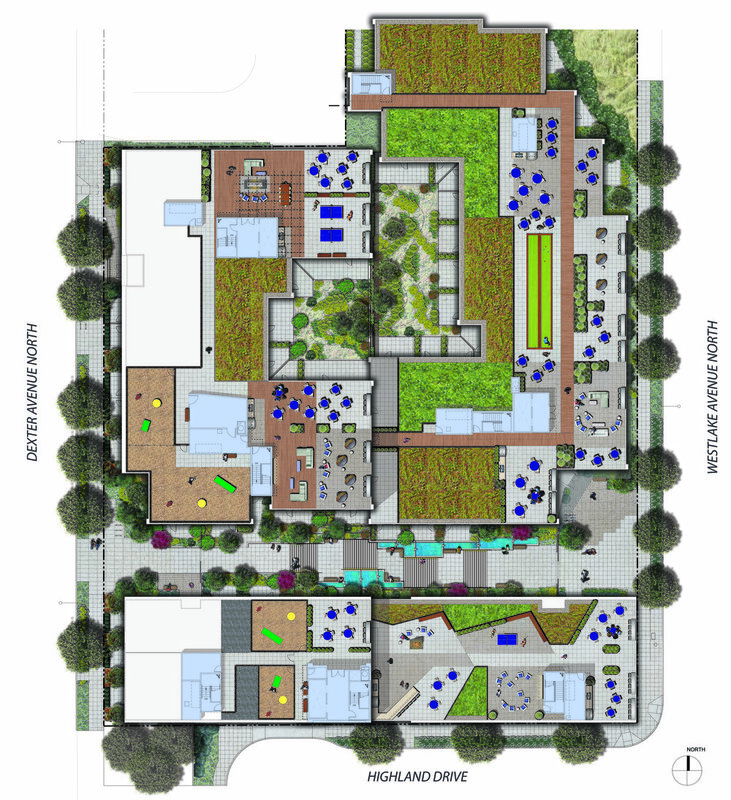 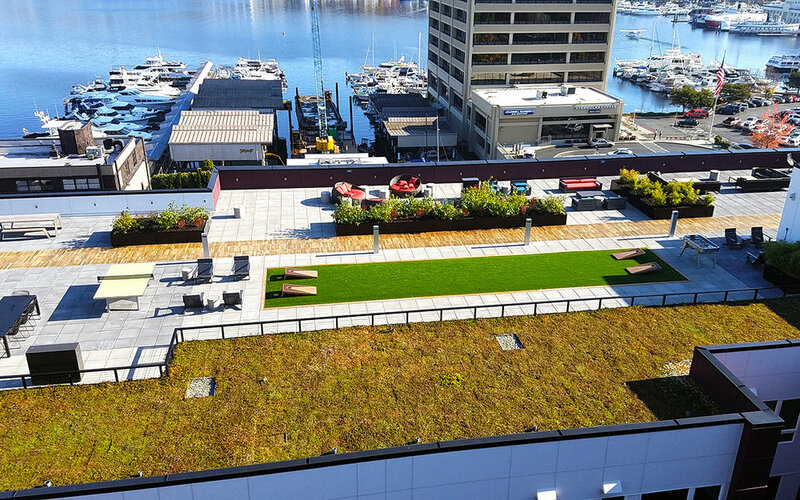 Several roofdeck terraces are oriented to make the most of the striking Lake Union scenery, featuring outdoor kitchens/BBQs, varied seating areas, gaming amenities, large screen media centers, Pet Parks, and expansive greenroof areas. 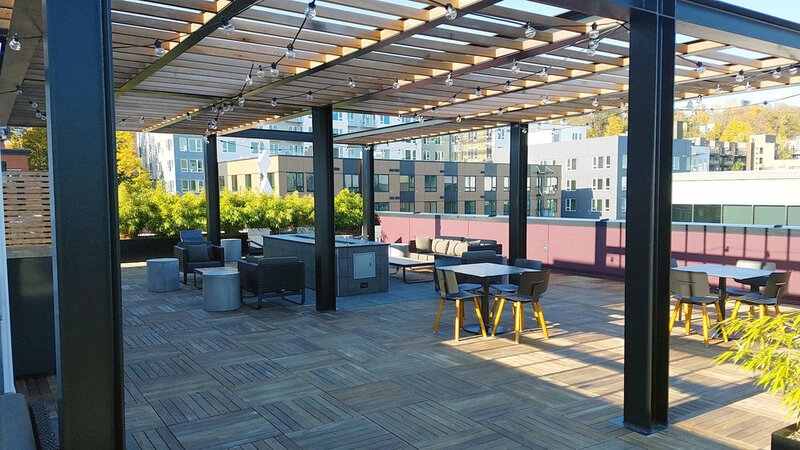 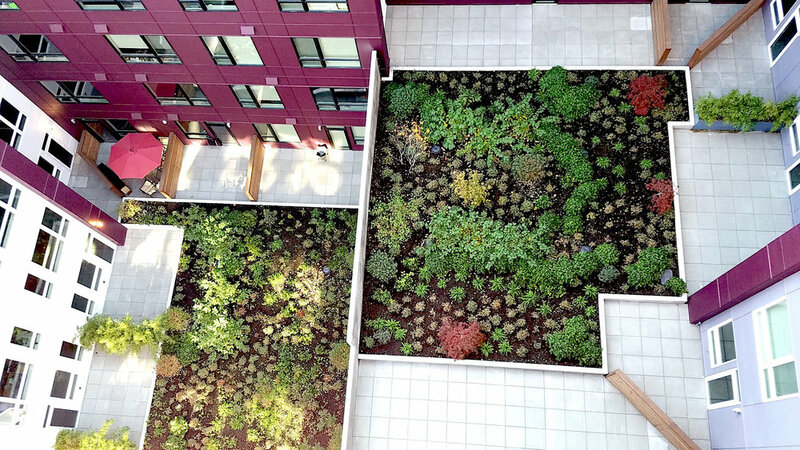 A tiered courtyard space in the larger building provides lush vegetation adjacent to private patios, creating a calm central outdoor space.